If you know one thing about me is that I love Twitter, and I love social media tools – and Twitter, thankfully, has a lot of them! Over the years, I’ve tried out as many Twitter tools and apps as I could get my hands on. Some were great, some not so great, a few made it in the long run and others died out pretty quickly. The market is definitely saturated, with more tools popping up each day, seemingly, so it can be very difficult to find the good, reliable tools that you need. 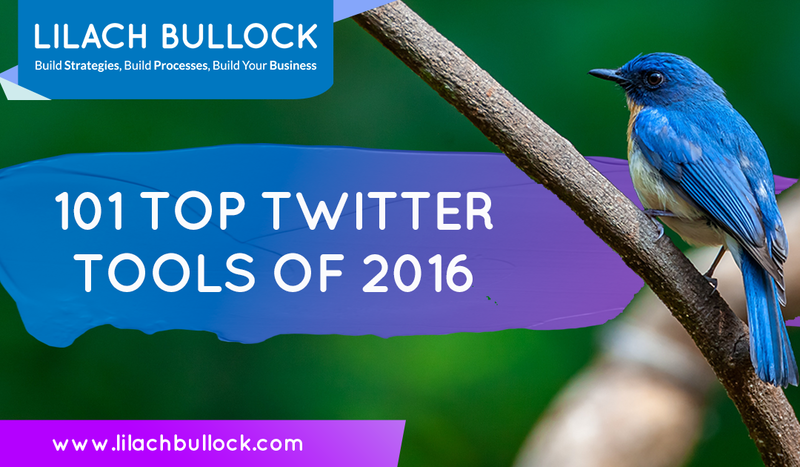 Which is why I’ve put together this list of top 101 Twitter tools of 2016. There’s something for everyone in here, from the complete dashboard to niche tools such as for analytics, or for building better relationships on Twitter. 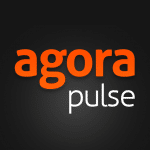 Agorapulse is a social media management tool that allows you to manage all social activity from one place, lets you publish and schedule updates, and allows you to run contests, quizzes and promotions. The tool also has a social media inbox, and PowerPoint analytics reports that look amazing. 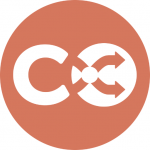 Use CoSchedule to make your social media posting go faster and more efficiently. 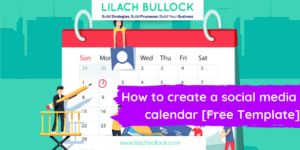 Share blog posts as well as other updates, create an editorial calendar to become a more productive blogger and manage all your social accounts from one place. 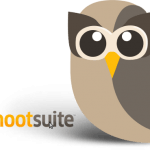 Hootsuite is an all-in-one dashboard for all your social media accounts. You can use it to manage multiple accounts, engage with followers and friends, schedule updates, monitor conversations and keywords, and get analytics to see how you’re doing online. Sprout Social is a social media management tool to allows you to easily manage your Twitter, Facebook, Google+ and LinkedIn accounts from one place. Monitor social networks to find conversations, engage with other users, publish new updates, and also get analytics reports. Use Plugg.io to manage both your Twitter and your Facebook accounts, find new friends, and to plug into your favourite news sources to find content to share on your social media. They also have a 24/7 automation tool that assures you never go silent online, and a scheduling feature. 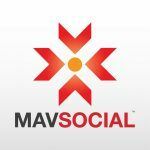 MavSocial allows you to monitor all of your engagement and mentions from one dashboard for many of the most popular social networks. 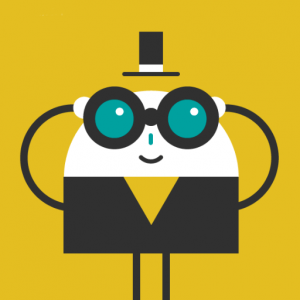 What makes MavSocial stand out is their attention to the visual. Go through their visual content library, find digital stock photos and edit them with their built-in editing software. They also offer analytics and they have a social inbox where you receive all your social media notifications. ge your social media from one place, publish and schedule posts to multiple social accounts, engage with others and generate leads with their Social CRM. They also provide in-depth analytics, and you can track your results daily, weekly or monthly. TweetDeck can be used to manage multiple Twitter accounts from one dashboard, keep track of any lists, or searches and create searches to monitor whatever you are interested in. See your home page updates, notifications, DMs, and anything else you want, all in one screen. Getting results organically is not always the easiest thing – it takes a lot of work and dedication and it can take a long time to get to the stage you’re aspiring to. But if you have something great you want to promote, or simply speed things up a bit, there’s always Twitter advertising. Here are some of my favourite Twitter advertising tools. 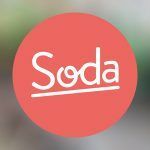 Meetsoda allows you to easily run Twitter advertising campaigns, and get them published in just three easy steps. Their analytics are available in real time, so you can adjust your campaign for maximum reach. You’ll also get a full campaign report when it’s over – huge time saver! 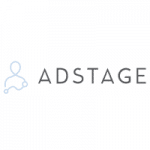 Adstage is perfect for those running ads on multiple networks, as it’s an all-in-one ad management platform. It lets you easily manage all of your ads, whether they’re on Google, Facebook or LinkedIn. An interesting feature is that you can create multiple ad variations in just seconds. Adparlor is a social and video advertising platform that works with Facebook, Twitter, Instagram and Youtube, all manageable in one dashboard. Their precision targeting is pretty impressive, as it goes beyond basic demographics. Measuring your results is extremely important. A good analytics tool will help you see what you’re doing wrong and what you’re doing right, so you can adjust your strategy accordingly. Simply Measured provides amazing analysis of all your social media. Not only are their reports beautiful, but also very comprehensive. You can listen to conversations, and observe competitors across all social networks, and get amazing reports directly on the website, in Excel reports, or as PowerPoint presentations. They also offer a free trial, as well as a few free tools that you can try right now to see if this is the tool for you. TweetReach is a tool that allows you to monitor and measure tweets about anything you want, whether it be a hashtag or a particular brand, in real time. You can use it to get free snapshot reports, and for more detailed analytics they have a paid option. 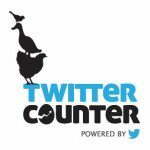 TwitterCounter can help you optimize your tweets so that you can get the most out of them. Their analytics will help you figure out when the best times to send tweets are and what types of content your followers respond to best. 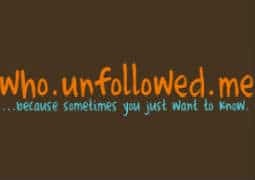 It’s also a great tool for studying your followers, and even unfollowers. TweetStats is a simple, free tool that allows you to graph your Twitter stats. Simply enter the Twitter name you want, click the button and take a look at your past tweets. Twitonomy is a great Twitter analytics tool that you can try for free. They provide detailed visual analytics on your Twitter activity as well as your competitors’. Foller.me is another Twitter analytics tool, but with a different spin. You can use this free tool to search for any public Twitter name and get an analysis on their profile and latest tweets, in the form of ‘tag clouds’, so you can see the most popular used words. You will also be able to see when they’re most likely to be online, and all about their friends, followers and lists. Crowdbooster work with Twitter and Facebook to give real time analytics reports on your pages. 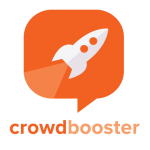 One of the best parts of Crowdbooster is that they give you recommendations based on the data they gather – for example, if an influencer mentions you, you’ll get a notification so that you know that you should try to engage with them. They also offer scheduling, and team management, where each team member can have a different access level. The key to beating the competition is to know the competition – and this is the perfect tool to assist you. 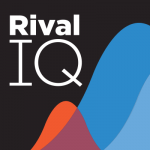 You can use Rivaliq to not only analyse your social media performance, but also that of your competitors’, and how you stack up against them. 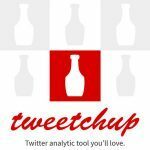 Tweetchup is a free Twitter analytics tool that allows you to monitor tweets, hashtags and keywords, as well as analyse your own Twitter activity and that of your competitors – or any other user. 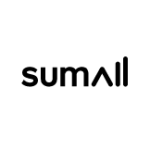 Sumall is an analytics tool that you can use for as many Facebook, Instagram, Twitter and Google Analytics accounts as you want. They create beautiful reports that are ready-to-go and you can even add your own branding to them. 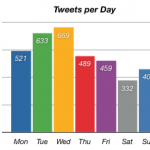 When should you be tweeting in order to get the most out of your updates? 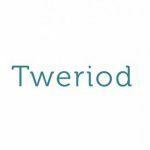 Tweriod looks at both your tweets as well as your followers to give you the best times to tweet – and hopefully increase your engagement. If you’re running a campaign on Twitter, want to monitor an event or maybe simply your brand, TweetArchivist will monitor and archive it for you. The tool can also analyse the results for you in order to find the top users and influencers, the hashtags and links used, and more. Twitter scheduling is a very debated subject. Does it take all humanity out of tweeting or can it be done in such a way that followers will respond to positively, and brings results? But let’s not get into all that now and go through some of the best tools – some are for manually scheduling tweets, others for automated updates, all for helping you save a lot of valuable time. 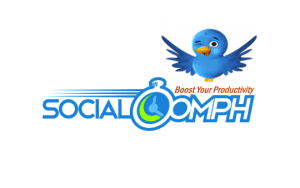 Social Oomph is a tool that can help you boost your productivity online by allowing you to schedule all types of content updates across different social networks, such as Twitter, Pinterest, LinkedIn and Facebook. 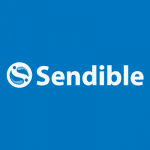 This tool can be a huge time-saver for those who have numerous accounts to manage. Buffer is arguably one of the most popular scheduling tools on the market right now. Use it to easily schedule posts across multiple accounts and social networks, as well as to analyse your posts. Dlvr.it is a smart automation tool that monitors all of your news feeds and automatically shares relevant content to your social networks. You can also use their browser extension to add content as you find it. It also shares your blog posts, adds relevant hashtags to your updates, and allows you to integrate Google Analytics, among many other useful features. If you have a regularly updated blog, you can use TwitterFeed to easily share your blog feed to all of your social networks, helping you save a lot of valuable time. 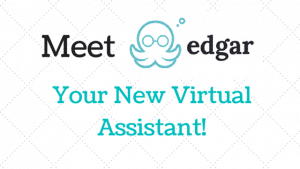 MeetEdgar is a tool that allows you to easily schedule posts to your social media accounts in a very organized manner. Create the updates you want to publish and organize them into categories, easily add them to a calendar and MeetEdgar will queue them up for you. PostPlanner aims to help you increase your engagement by assisting you in finding great content to share. All you have to do is select what you want to share, decide on a time and you’re done. PostPlanner also lets you get the analytics on anything you posted so that you can see what works and what doesn’t. 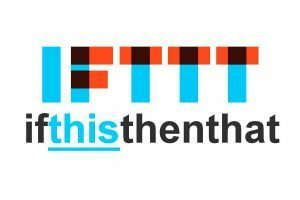 IFTTT (If This, Then That) is a very cool tool that aims to make your life easier. When it comes to social media, it allows you to do share content between your networks, such as automatically tweeting your Instagram photos, or posting Facebook updates to Twitter, and even pin Instagrams to your Pinterest boards. 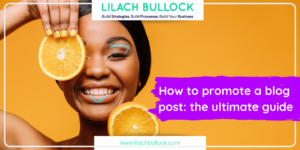 If you have a blog, then you’re probably also using social media to promote each new posting. 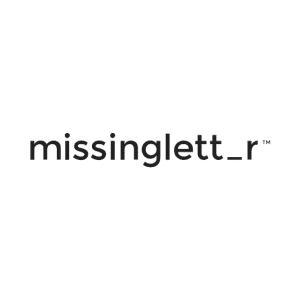 Missinlett_r helps you speed up the process, by automatically creating social media updates with quotes from your article, every time you publish something new. Not only does it create cool tweets using your own words, but it also helps you save time, and increase your exposure and hopefully your traffic. There are some great tools out there that can help you start conversations with people all over the world, help you boost your engagement, and also help you find some great people on Twitter. 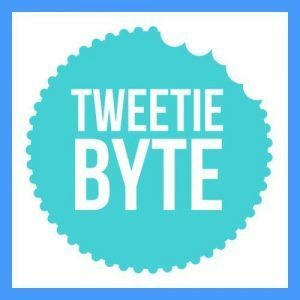 There are a few great tools that allow you to start Twitter chats, and I’ve also included one that allows you to live blog events as a team. It’s very easy to start chatting on TweetChat – simply login with your Twitter account, enter a hashtag, and join the conversation! You can also favourite tweets and see what others have favourited. They are also currently working on adding more features. 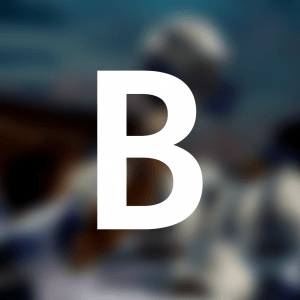 BeatStrap allows you to cover any event and live-blog it as a team, while also promoting your own brand. Simply add the people you want, give them a hashtag, and start live-blogging! You can even display it on any web page, and increase your reach. 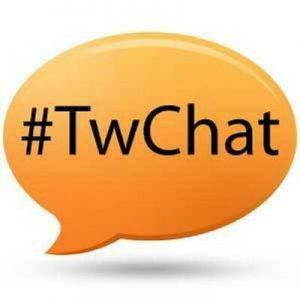 Twubs Twitter Chat is a pretty straightforward tool that allows you to schedule and start Twitter chats. You can also search for hashtags to see what people are saying. 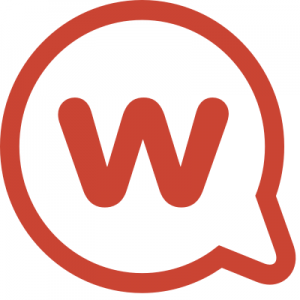 Twchat is similar to Twubs, as it allows you to create real time chat rooms, as well as search for chats to participate in. You can also add people to help you moderate your chat. If you have a group Twitter account, such as a school, charity or sports team, you can use GroupTweet to make sure everyone has a say. You can add as many contributors as you like, as well as remove them, without having to share your password. It can also be used for private group conversations on Twitter – much faster than email! 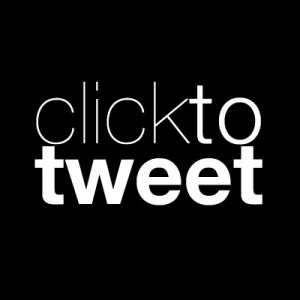 If you want make shares on clicks back to your website, ClickToTweet is an excellent option. Simply write the tweet that you want others to share, and your readers will be able to just click on the message to share it along with a custom link back to your website. If you can’t always stick to the character limit on Twitter, try TwitLonger. It’s very easy to use, all you have to do is sign in with your Twitter account and start writing. TweetyMail is an email-based Twitter app that allows you to tweet, reply, direct message and follow other users, all via email. You can also get automatic, customized email alerts for mentions, Twitter searches and others, and respond to them directly from your email. Review Old Post is a WordPress plugin that helps you keep older content from your website alive by sharing them on social media. Choose how many posts you want to share, the time between posts, add hashtags and links and start sharing your old and new content. If you’re planning an event, you can use Vite to invite people, get them to RSVP with Twitter, Facebook, Google+ or Instagram and to send announcements about your event. 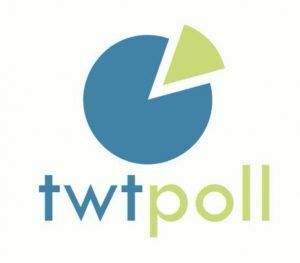 Use Twtpoll to create surveys on multiple social platforms. They offer several types of surveys that you can add filters too. I also like their skip-logic feature, which allows for personalized surveys, where users can get different questions based on previews answers. Twtqpon allows you to create coupons on various social media platforms, and email. Easily create your coupons with your own branding, add QR codes and barcodes, and choose how the coupons will be redeemed – offline or online. If you want to increase your Twitter engagement, you have to stay in the loop with what is trending at the moment. Use Trends24 to see what is trending, which hashtags are the most used, and start tweeting! 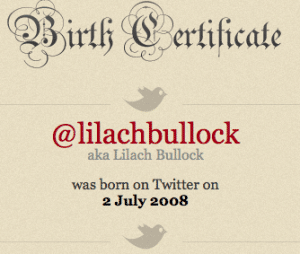 Twbirthday allows you to easily search for a Twitter username and find out when they joined Twitter on their very own Twitter birth certificate. Find out when you’re friends (or competitors!) made any changes to their profile, such as a new bio or new profile picture. You can choose to get email alerts or see it directly in your timeline. Are you replying fast enough on social media? Sprout Social’s Must Be Present tool gives you reports on your response rate on social media, and your average response time. It’s a simple thing, but oh so useful. If you’re not replying in real time, you stand to lose a lot of engagement. 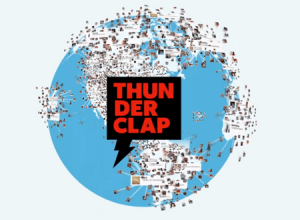 Thunderclap is a really cool tool that allows you to mobilize your fans to help share your message on social media. 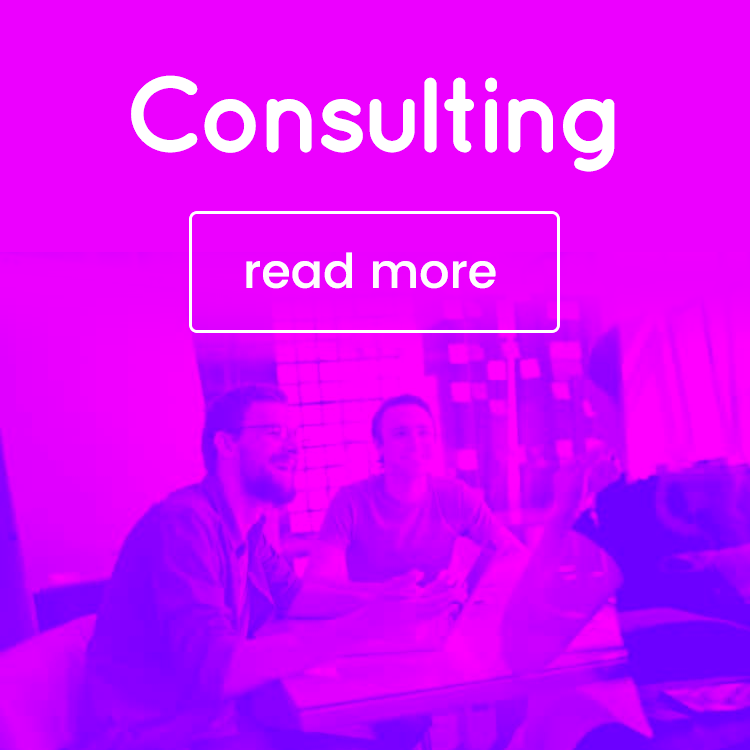 Anyone can use it, from authors to musicians, and from marketing agencies to event organizers. 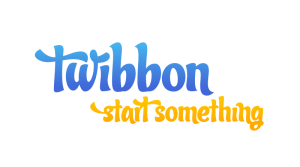 Twibbon allows you to create campaigns where users can support you in various ways, such as by adding to their social media, changing their Twitter background or emailing their friends. Twibbon makes it very easy to manage your campaign, and it can even help you take it viral! 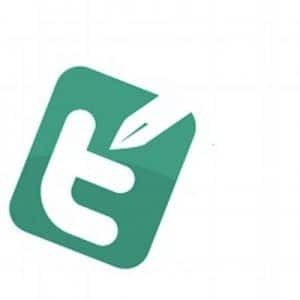 Twibes allows you to browse through the numerous Twitter group topics and lists and see who the members are, and any other relevant information for the specific group. 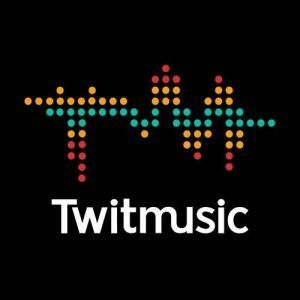 Twitmusic is a tool aimed at music artists who are using Twitter. You can use it to create amazing, engaging campaigns, create photo and audio contests, get people to act in order to listen to your music or see your upcoming cover art, and many more cool features. Try WhatTheTrend to see what is trending worldwide in real time, what else has been trending during that day, and also to add trends to the list. Whenever you’re away from the Internet, you can use Vacatweet to send out “out-of-office” messages on your behalf whenever someone wants to talk to you on Twitter. Simply write your auto-response and choose whether to reply to people or direct message them, and you can leave for your much-awaited vacation without worries. Use Tweetiebyte to get a thorough analysis of your tweet history. All you have to do is enter the username you want to study and the tool will generate a personalized infographic. Are you a Last.fm user? 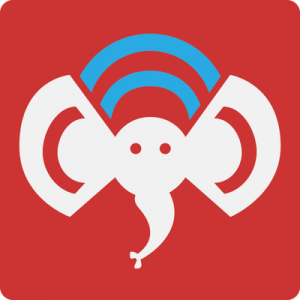 You can now use Tweekly to automatically post your Last.fm stats to your Twitter and Facebook profiles. You can also find out who else shares your taste in music, and find new people to connect with online. Tweepsmap helps you publish “intelligently” with the insight you gain from their follower location map that shows you trending topics and hashtags based on location. They also tell you when the best time to tweet is, specific to your followers and their activity. Local Tweeps is a tool that helps you search for Twitter friends and followers that are close to you. It’s a great tool for anyone organizing an event. 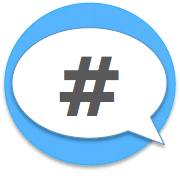 Hashtagify is a great tool for discovering hashtags, and seeing which ones are the most popular. Find hashtags related to certain events, the top influencers, and access usage patterns data. They’ve also recently introduced an Instagram hashtag tracking tool that you can try out for free. If you’re ever confused about what a hashtag might mean, use Tagdef and simply enter the hashtag you want to look up to find a definition. You can also add your own definitions. 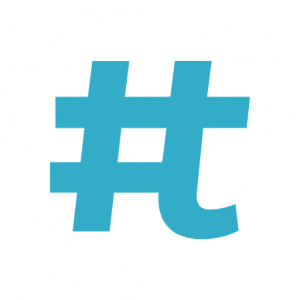 Ritetag is a very useful and timesaving tool that helps you ‘beddazle’ your updates automatically with hashtags and visuals. 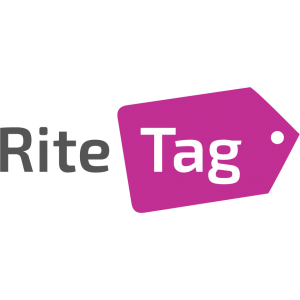 You can integrate Ritetag with other tools, such as Buffer and Hootsuite, to make your life easier, and automate posts in order to save time. Keyhole allows you to search for hashtags, keywords or URLs and track them in real time on Twitter and/or Instagram. They also provide account tracking and reporting, and can find the top influencers that are engaging with your hashtag or keywords. Use Hashtracking to quickly get reports on Twitter and Instagram hashtags, or try the paid version to monitor your social media activity in real time and stream your social media activity live, as a presentation, whether at the office or at an event. Tagboard allows you to search for public social media data within seconds after they were published, and then select the posts you want to feature on TV, on your website and on large displays. Use Twubs to search for and follow hashtags so that you can discover conversations. You can also use it to create a branded hashtag page where you can engage with your followers. TweetBinder can be used to search for hashtags, mentions and keywords on Twitter and Instagram, get real time reports, and other, more in depth reports. 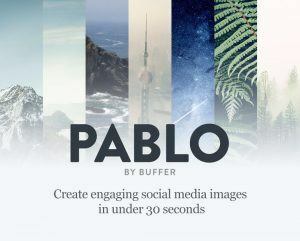 Pablo is a very cool tool from Buffer that, best of all, is free to use! They have a library of over 50,000 royalty-free images and different fonts and colours to choose from for text. You can easily add images to your tweets with Twitshot – all you have to do is enter your tweet with the link on the website, and Twitshot will automatically extract images from the webpage you’re posting so you can choose your favourite. 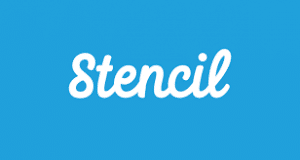 Stencil is a very easy to use tool for creating great images that you can then share on your social media. You can customize images, add icons and graphics, and they even let you do 10 free images a month. 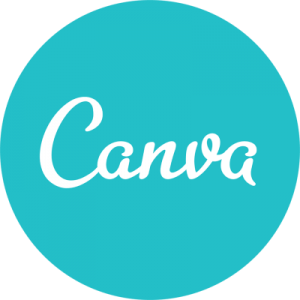 Canva make it very easy to create professional looking visual content. 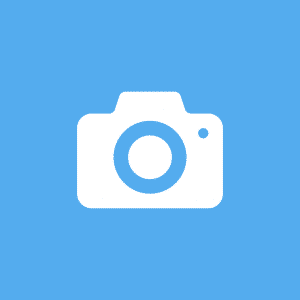 They have thousands of layouts to choose from, stock images, filters, icons and basically anything you might need to create great images for your social media, blog, or website. 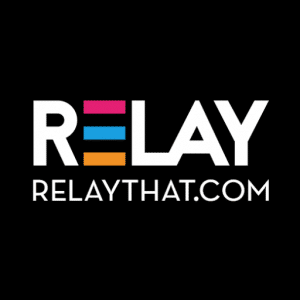 Use Relaythat to create beautiful designs for all your marketing purposes. Images are automatically resized for every platform, so you don’t need to bother with that. It’s also a great tool to use to make sure all of your marketing visuals have the same graphics. 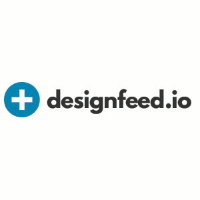 Designfeed is a great new tool, currently in beta, that renders beautiful images that are personalized for each user. The more you use the tool, the more it will learn what you like and what you don’t, so that it can create images that are perfectly suited to your tastes. 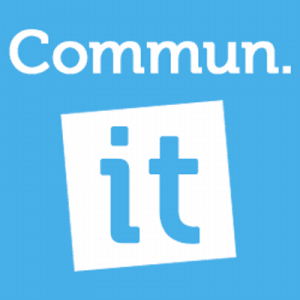 With Commun.it, you’ll be able to get a better understanding of your Twitter friends and followers. It will help you find relevant profiles for you to follow (as well as unfollow), and help you build relationships with influencers and customers – the ones who matter the most. Audiense can help you get better audience insight. Find out who forms your audience, what they are interested in and what they talk about. Then organize your audiences, and start building relationships with all the best users. This tool doesn’t need much of an explanation – the name really says it all. Apart from helping you track those who unfollowed you, you can also use it to see who followed you, if you’re following back or who you’ve blocked or muted. 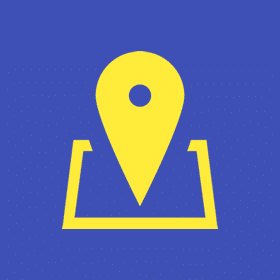 FollowerWonk aims to tell you everything there is to know about your Twitter followers, whether it’s location, or the times they usually tweet. You can also use it search for users and browse through Twitter bios. Friend or Follow allows you to track who unfollowed you and who’s not following you back on Twitter, Tumblr, and Pinterest. You can manage multiple accounts with it, as well as to sort your followers. 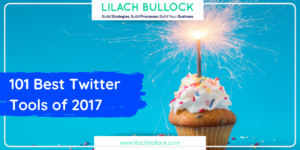 Getting started on Twitter can be very difficult, and even as you start growing, it is still difficult to get enough followers. 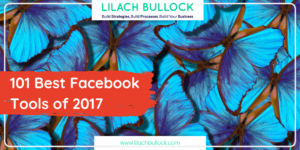 Thankfully, there are a few tools out there that can help you not only to better manage your existing followers, but also to grow your follower base. ManageFlitter has a few different features, but my favourite thing about it is the ease with which you can manage your Twitter friends and followers. It’s also a good tool for finding people to connect with, and it has some pretty good analytics. 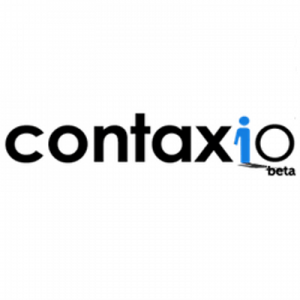 Contaxio is a free tool that helps you track your Twitter friends and followers, and finds the best people to follow back. 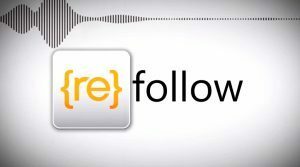 Refollow is an app that helps you find the people you want to have relationships with on social media. It’s also great for growing your follower base and managing your audience. One of the ways to grow your Twitter presence, increase your credibility online, and even boost your engagement is to find influencers and build connections with them. Almost all communities and niches have their top influencers – all you have to do is find them, and start building a relationship with them. 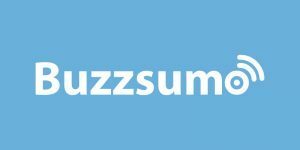 BuzzSumo is a tool that allows you to search for the most relevant content and the top influencers for any topic you want. Simply enter a topic or domain in the search box, and look for key content and influencers. 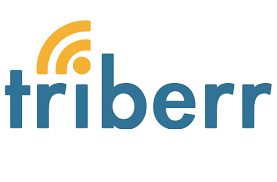 Triberr is a place for bloggers and influencers to meet and share great content. You can find great content to read, comment on, have discussions with other bloggers and influencers and post any content that you might find. 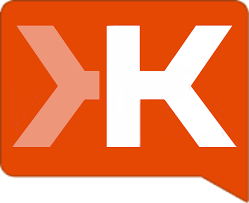 Sign in with Klout to see what your Klout score is on Twitter or Facebook, if you’re an influencer, or still have a ways to go. Klout also suggests content that you could share with your audience, in order to increase your engagement, and Klout score. 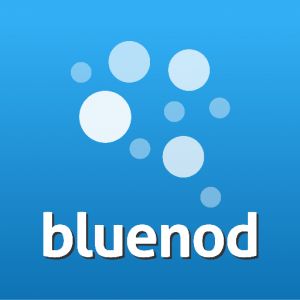 Bluenod is primarily a tool for finding top influencers in your field. The tool allows you to visualize Twitter communities that highlight influencers, and their networks. It’s a great tool for building a bigger, stronger community. Klear has several great features – it allows you to monitor your social media and creates analytics reports, it allows you to find influencers and helps you build relationships with them, and allows you to take a look at the competition to find new ways to develop your social media strategy. 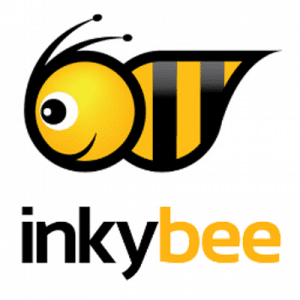 Inkybee is a blogger outreach tool that helps you search and discover relevant blogs. You can also use it to analyse Twitter influencers among your followers, and find new users to connect with. While Twitter is definitely a lot about talking, it’s also important to listen and measure. There are a lot of tools that allow you to measure activity, whether it’s yours, or other users’. Warble Alerts is a great tool for when you are too busy to check your Twitter multiple times a day. Sign up, and then select what keywords or hashtags you want to track and you’ll get an email once a day with all the information you need. 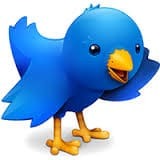 Daily 140 will send you a daily email with the information you need on five Twitter users you want to follow more closely. Find out their most recent follows and favourites so that you don’t miss any new connections or great tweets. Brand24 is a great tool for monitoring your online presence in real time, measuring responses by sentiment, and finding influencers to connect with. It also allows you to stay on top of any comment made about your brand, so you’re always fast to respond, as well as helps you figure out where to find sales opportunities online. Sysomos is a tool that allows you to listen and monitor social conversations and find customers, trends and top influencers. 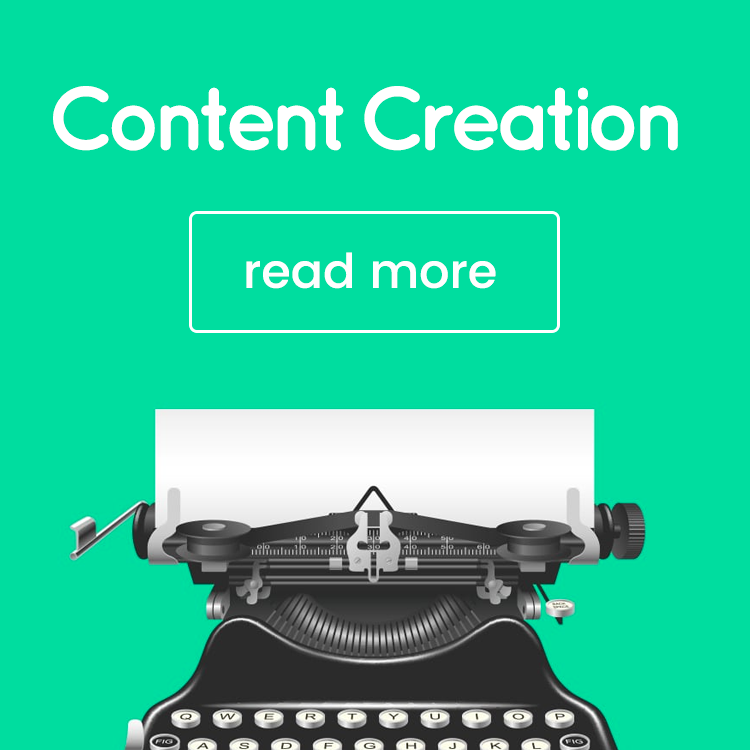 It also helps you find great content to share, and lets you publish updates. They also offer an analysis tool to help measure your social media campaigns. 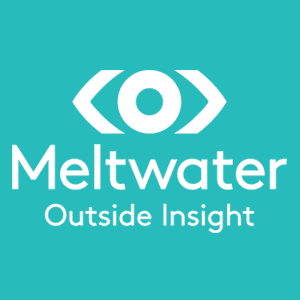 Meltwater allows you to discover trending topics in your industry and then use that knowledge to engage and start new conversations. You can also use it to monitor your brand and the competition, and to stay up to date with the latest news. Their detailed analytics are also quite good, and will help you track all of your social campaigns. Social Mention lets you search for real time mentions on social platforms. You will see top users, keywords and hashtags for any search, sentiment and reach. 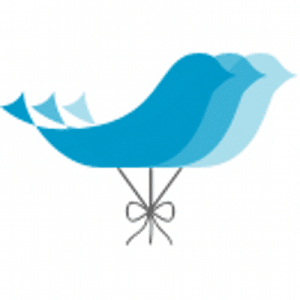 BrandChirp is a brand management tool exclusively for Twitter. You can add multiple Twitter accounts and manage them from one place, whether it’s to monitor or engage. They also offer target following and stats for the people you follow so that you can see their tweeting activity and act accordingly. 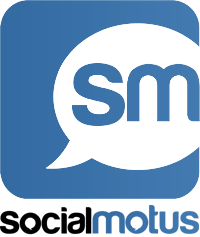 Social Motus allows you to manage all of your Facebook and Twitter accounts from one place, with the possibility to add other team members. It’s a good tool for monitoring your brand’s presence as well as for engaging, and measuring your online performance. You can also use Social Motus to find more prospects and start building relationships. 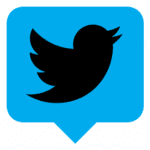 Twitterrific is an iOS and Mac app that you can use to track all your Twitter notifications in real time, on your phone, tablet, and even on your Apple Watch. You can do everything you can do on Twitter, and more. You can muffle tweets and hashtags that you don’t want to see, save links for later and get push notifications. 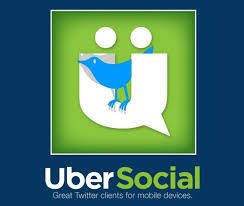 UberSocial formerly known as Twidroyd, is a Twitter app for Android users. They have a few cool extra features, like photo filters, the Inner Circle feature that helps you keep up with certain users, Facebook news feed and they let you write tweets over 140 characters. 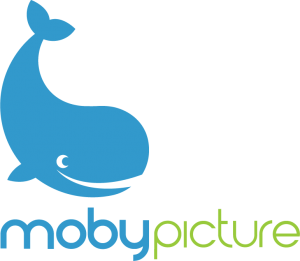 MobyPicture helps you to easily share any visual content – photos, videos – and audio with your followers on several social networks: Facebook, Twitter, Youtube and more. Many people nowadays use Twitter as a source for great content and relevant, breaking news. Here are some tools that will help you stay up to date with the top news of the day, as well as help you become a relevant content curator on Twitter. Scoop.it helps you discover great content online that you can then easily share on your social accounts. Scoop.it makes it very easy to find content that your followers will be interested in and it only takes seconds to get it published. Paper.li helps you curate great content suitable for your audience that you can then share on social media. 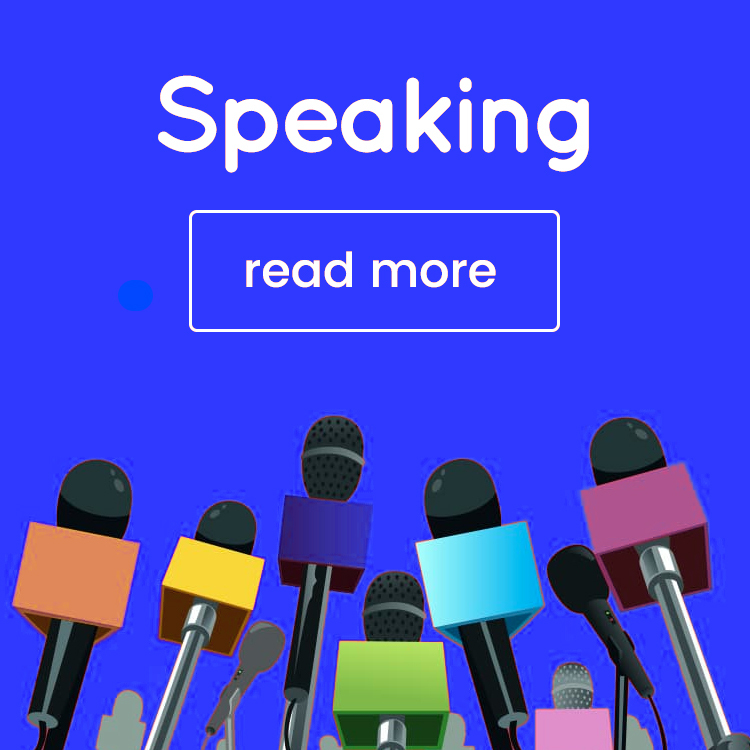 What makes them stand out is their web newspaper feature, that lets you create an online newspaper regularly with all the latest news and articles related to your business. They also have an email newsletter that gets sent out regularly with the content you’ve collected. 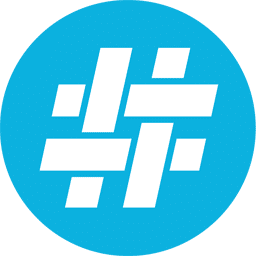 Hash is an app that brings you the most important talking points of the day – those that get the most attention from people, the most tweets and hashtags. It has a great interface, and you get to see what the story is about and then a list of relevant tweets. 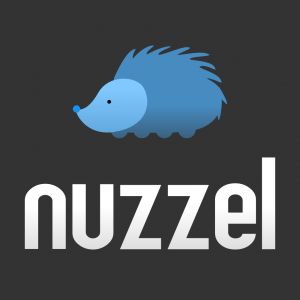 Nuzzel helps you discover the top news stories of the day. When you sign in with your Twitter account, you will be able to go even further, and see what stories your friends and followers are talking about. Chirp City keeps you up to date with trending people, stories, and even cities and stocks. You can also use it to search for breaking stories, trending stories, influential people and more. Phew, finally done! There are just so many different Twitter tools, but I hope I did a good job of highlighting some of the best 101 on the market right now. Which tools do you use the most? Have you discovered any new tools you’d like to try? Let me know in the comments section (or on Twitter, of course) and if you have any other great suggestions, I would love to know! Wow What a great list Lilach! You must be all tweeted out now! Thanks Julie 🙂 Ha yes! Thank you for including TweetReach by Union Metrics in this comprehensive roundup. We appreciate it! I wish I had known you were doing this huge roundup. While you did include two of my favorites that I use all the time (Inkybee, Twitterfeed and MavSocial). You missed one important tool I have running that gets a lot of views and connections: Staged. Two others worth mentioning are Oktopost and Socedo. I have comprehensive posts that explain these two if you’d like to see them. You could add them as a bonus at the bottom. Just ask me on Skype if you’d like the links. Hi Gail, thanks for your comment. There are just so many tools it’s hard to include everyone 🙂 I love learning about new tools so will Skype you and check out your blog as I’m not familiar with Staged. Great list of tools, Liliach! Definitely, co-schedule and Hootsuite are my favorite. Oscilloskope is a new player on the market. It’s a tool designed for social media listening and offers demographic data of those who are talking about you online. Check it out! Thanks Adina, will take a look at your tool, always like to learn about new tools and how they compare to what’s currently in the marketplace! What a mammoth list, Lilach! I am aware of just a few of the tools you mentioned. It’s a nice chance to check the new ones and add more power to my Twitter marketing. OMG 🙂 Such a brilliant post with lots of tools to make Twitter experience more amazing. I do use some of the tools mentioned above like Hootsuite and Buffer to automate my posts, but its great to know more amazing tools in this beautiful crafted post. Thanks so much Amit 🙂 Yes it’s useful to learn of other tools so that you can maximise your Twitter marketing! Appreciate your comment and great to see you here Amit! Oh MY! What a GREAT List Here! Thanks, Erik Emanuelli for sharing this wonderful post here for the benefit of Klinkk readers. 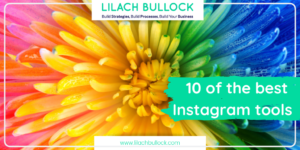 What a a fantastic list Lilach, I honestly didn’t realize there were so many, it must have taken you some time to produce this so I’d like to thank you very much for sharing this with us. I love twitter so obviously I’ve tried a few before I read this but I’m definitely going to enjoy trying out those I’ve just discovered due to this list. What a fantastic resource! I suggest that you go take it easy for a wee while! Wishpond Suggestion: Don’t try to reinvent the wheel. Great List. 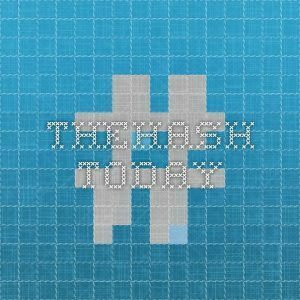 This is the largest list of best twitter tools I’ve seen. Also, you might like to add: Find70. Find70 allows you to search for twitter accounts using filters such as what the target follows, twitter bio, follower/friend count, location and whether or not they have contact info listed (email/ phone number), how active they are. It also let’s you define your own weighting formula for the filters too. Thanks Pascal, I’m not familiar with Find70 – always useful to learn of other tools! Nice ! I recently came across http://www.exporttweet.com, Is this a good tool to use in business ? Thanks Emily. I must admit I’m not familiar with them. I’ll add another great Twitter tool to the list: DiscoverText is very useful for anyone interested in text data science/data mining/social media analytics/social media monitoring/big data analysis. 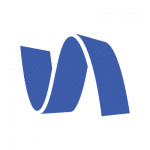 It has dozens of powerful text analytics, data science, human coding, and machine-learning features, including instant access to the Gnip PowerTrack 2.0 for Twitter, historical Twitter, and the free Twitter Search API, DiscoverText provides cloud-based software tools to quickly evaluate large amounts of text, survey, and Twitter data. DiscoverText is much better than a spreadsheet, and no programming skills are required; just point and click. Thanks Patrick, I’m not familiar with them.